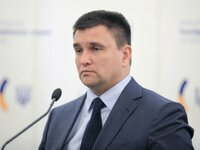 The effective unbundling of NJSC Naftogaz Ukrainy is important for Ukraine's strong position in trilateral gas negotiations, Ukrainian Foreign Minister Pavlo Klimkin has said. "There should be effective unbundling because it is important in the context of implementing the key European rules and our strong bargaining position," he told reporters in Kyiv. The minister noted that the reform of Naftogaz is extremely important for a strong position at the tripartite consultations with the European Commission and Russia. "We need a strong position, because Russia is now waiting, signaling or speaking directly, as at the last tripartite consultations in Brussels: the elections, and then we'll see what the reality will be," he explained.